Hello, dear readers. Welcome back! My garden is growing at an amazing pace. We started late, thanks to worries about frost. We finally planted things in early June. I figured the garden might be a little bit small from having plants die in the heat, but we've actually had very little die-off. We have a single zucchini plant and it is producing at a good rate. 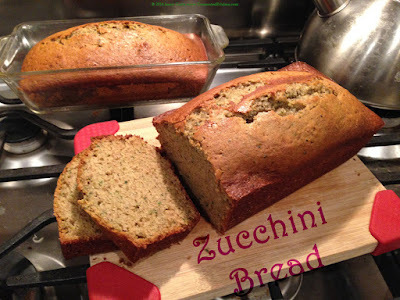 I already have enough that I used a few in the lasagna for dinner, a batch of this zucchini bread, and I still have a few that I haven't touched. Plus, there are more on the plant! 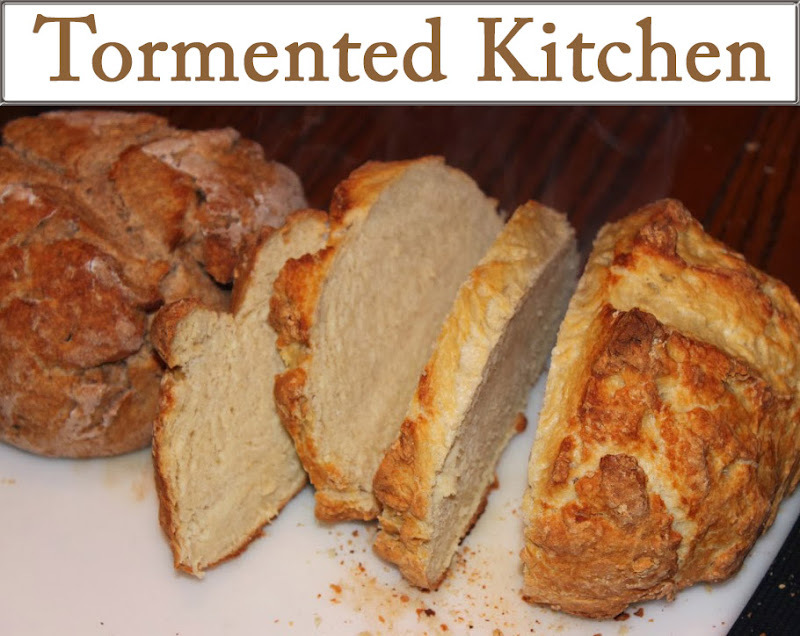 Quite a while ago, I picked up this recipe off of a message board for scrapbookers. There are so many lovely people out there making beautiful creations, not just scrapbook things, but food, crafts, and things for the home. I've been too busy to keep up on the message board, but I did friend a many of those crafty people on Facebook so I can keep up with them. Now, on the recipe details. I've made a change to how I prepare the batter compared to the original posting. We have a Blendtec blender that can liquify almost anything. For some crazy reason, I sold my food processor at a garage sale thinking "I should get rid of this thing. I never use it!" So, to make up for no food processor, I use the blender instead. See the recipe below. I hope you like this. It's been one of my go-to zucchini recipes for a few years now. P.S. I didn't adjust the amount of baking soda or baking powder, and it turned out fine for my altitude. Also, I was reading that yellow summer squash could be substituted for green zucchini. They are very similar overall and can be used interchangeably in many cases. 1. Combine dry ingredients in a large bowl (flour, sugar, baking soda, baking powder, salt, and cinnamon). Stir to combine and set aside. 2. In the high-speed blender, pour in the oil. 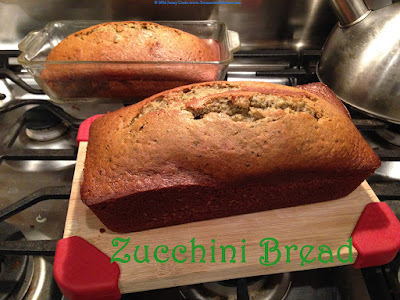 Add chunks of zucchini to fill up to the 3 cup mark on the blender container. Add vanilla. Blend on lowest setting until no large pieces of zucchini remain, but it should look like there are flecks of zucchini. (Do not over-process this into puree.) This should take maybe 15-20 seconds of blending. Add the eggs and blend again just until combined, so about 5-7 seconds. 3. 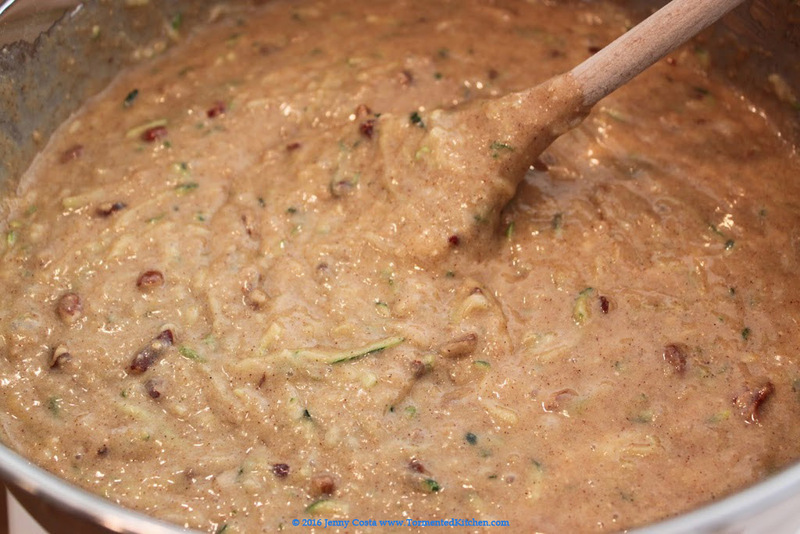 Pour the wet mixture into the dry ingredients, add nuts if you want them, and mix well. 4. Pour batter into two greased loaf pans or one greased 9x13 pan. 5. Bake loaf pans at 350F degrees for 50 minutes to an hour. Bake the 9x13 pan about 45-50 minutes. It should pass a toothpick test when done. 6. Let the bread cool about 10 minutes and remove from the loaf pan to finish cooling. 7. This is fantastic as is, but if you want to dial up the sweetness, try a glaze or icing. Recipes below. 1. Mix up the powdered sugar, milk, and extract to make the icing. Drizzle over the loaf. 1. Using an electric hand mixer, beat the cream cheese. Add the powdered sugar in intervals, beating after each addition, about 1/2 cup at a time. 3. Decorate the cake using a spatula to spread the icing.